The First Year of Nansha Shipyard and Freshmen to Check In. Home > News > The First Year of Nansha Shipyard and Freshmen to Check In. On July 12th, our company continuously ushered in 79 undergraduated colleges and postgraduates of 2018 session. This is the first batch of fresh blood that Nansha ushered in after the overall relocation of the company's capacity. In order to blending those freshmen into our company, HR department takes the lead in all relevant departments from reception to accommodation, from entry formalities to pre-job training. 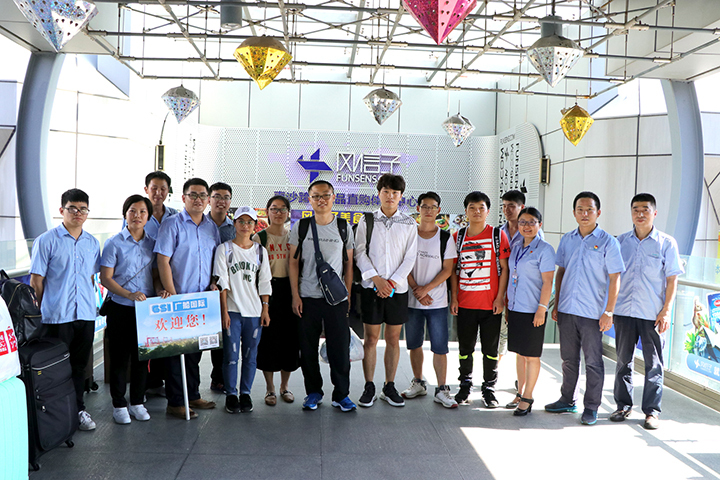 Within two whole days on 12th and 13th of July, HR department of company and the company's youth league committee have arranged personnel to Jinzhou subway station to meet new employees. Early on July 12th morning, the staffs who took charge of meeting freshmen were waiting at Jinzhou railway station. The majority of the delegations and members of the company's Youth League Committee are the school brothers and sisters of the new employees who come to report. They have a special sense of intimacy for the schoolmates and schoolgirls from their alma mater. In order to help those 79 graduates and postgraduates to blend into our company and identity change from students to professionals, our company thoughtful arrange 3-days pre-job training, including enterprise culture, company development process, strategies, safety awareness and occupational health and occupational disease prevention and more than 13 kinds of courses. After the completion of the training, the company also set up an internship section and a temporary League branch. It’s known that our company shortened the period of training from 1 year to half a year to undertake those tasks for this session employees, and the training period for postgraduates has been shorten from half a year to three months.